Guilty secret time. I have been known to buy one of those 99p frozen supermarket Black Forest Gateaux and eat the entire thing in about 20 minutes. 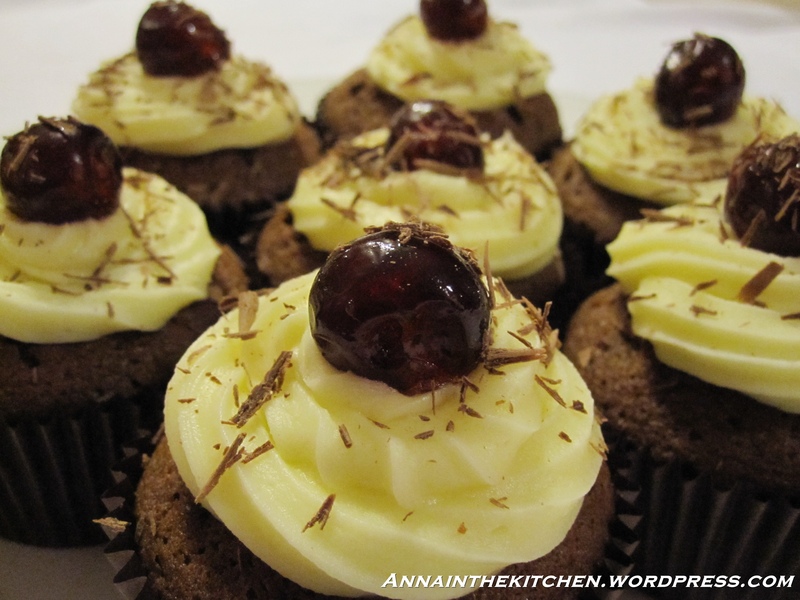 I LOVE Black Forest Gateaux! In times of stress I reach for one of those and a fork. Today has been very stressful. Suffice to say it involved calling 6 different helpline numbers who all told me I had to speak to a different number before eventually putting me through to the first number. Joy. I needed cake in a serious way. – Heat the oven to gas mark 5 and line a 12 hole muffin tin with paper cases. – Gradually add the eggs, beating well between additions. Aim to do this in about 6 stages for best results. – Stir in the Kirsch. 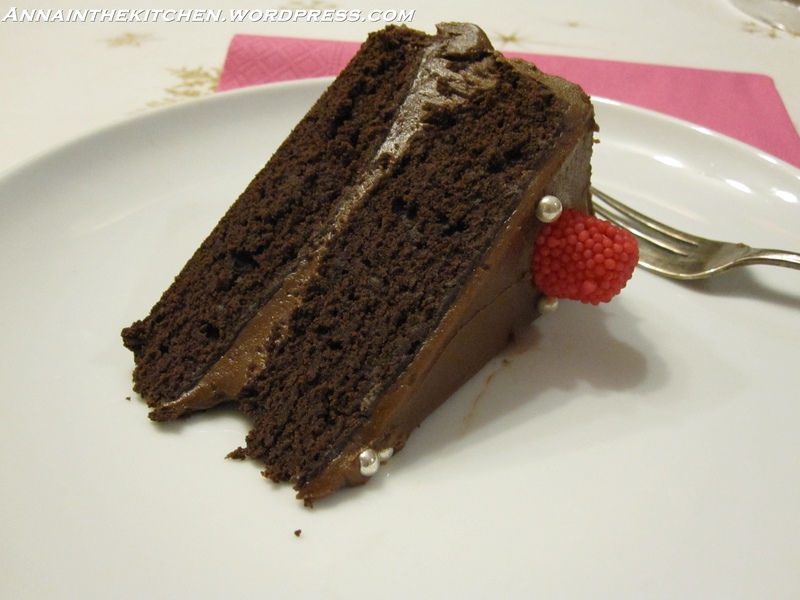 – Sift in the flour and cocoa powder and fold in. – Divide equally between the 12 cases. – Bake for 20-25 minutes, testing with a skewer or tooth pick to see if they’re done. – Place on a wire rack to cool completely. – Meanwhile separate the cherries from the juice they came in and place the juice and 5 tbsp sugar in a small pan. Pour 1 tbsp of Kirsch over the cherries. – Gently heat the juice until the sugar has dissolved then boil rapidly for at least 5 minutes. – Remove from the heat. In a small dish mix together the arrowroot powder and last tbsp of Kirsch. Add this to the pan. – Return the pan to the heat, stirring constantly until the white colour has gone and bring to boiling point. – Remove the pan from the heat and keep stirring until the sauce has thickened. – Add the cherries to the sauce and allow to cool a little. – Trim any domes from the cupcakes, leaving a flat surface. 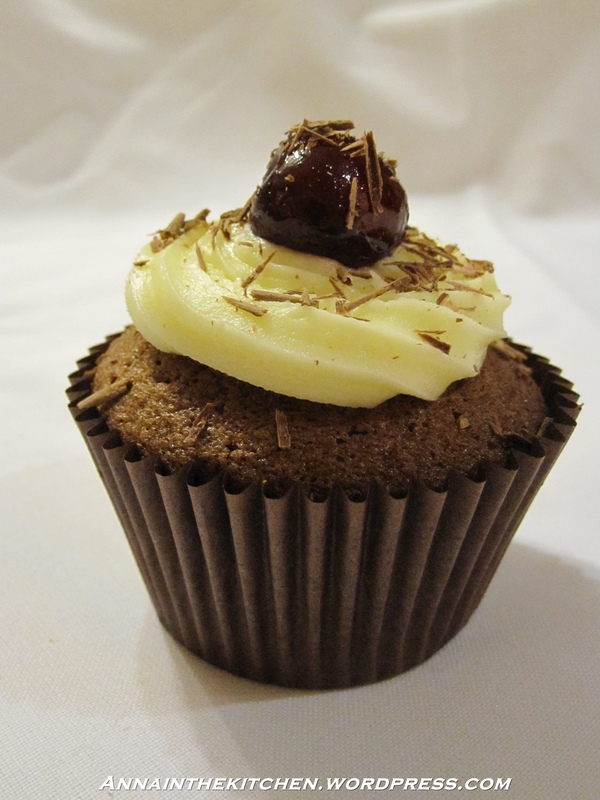 – In the centre of each cupcake use a paring knife to cut a circle and remove a core from the cake leaving a hole. – Add a spoonful of cherries and sauce to fill each hole. My tin had enough for exactly 3 cherries per cake. Allow to stand for a minute or two then add more of the sauce. – In a small bowl mix together the butter and 80g of icing sugar until smooth. – Add the rest of the icing sugar, the vanilla and 1 tbsp of milk. – Mix together until totally smooth adding more milk if necessary. 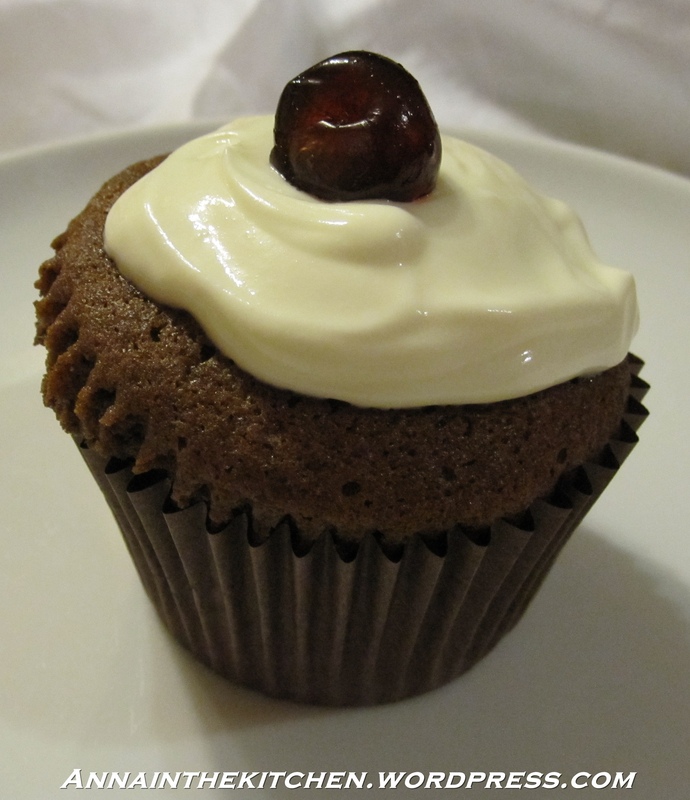 – Pipe the buttercream on top of the cupcake, sprinkle with chocolate and add a glace cherry. – Heat the oven to Gas Mark 4 and line 3 baking sheets with baking paper and grease well. -Use and electric whisk to beat the egg whites in a large bowl until frothy. – Sift the icing sugar, cocoa powder, plain flower and coffee powder into the egg whites. 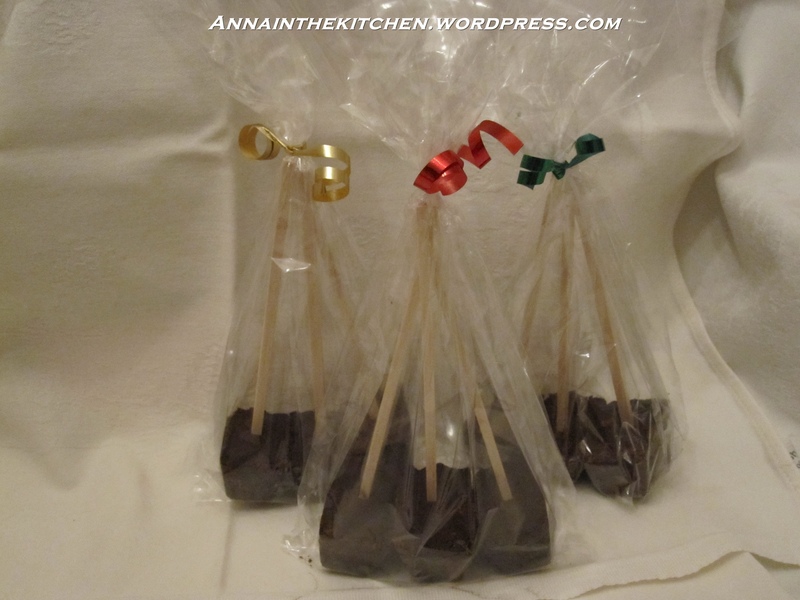 – One the mixture is a glossy dark chocolate colour add the chocolate chips and stir through the mixture. – Use spoons to place a generous spoonful of mixture onto the prepared trays leaving one inch between each mound. 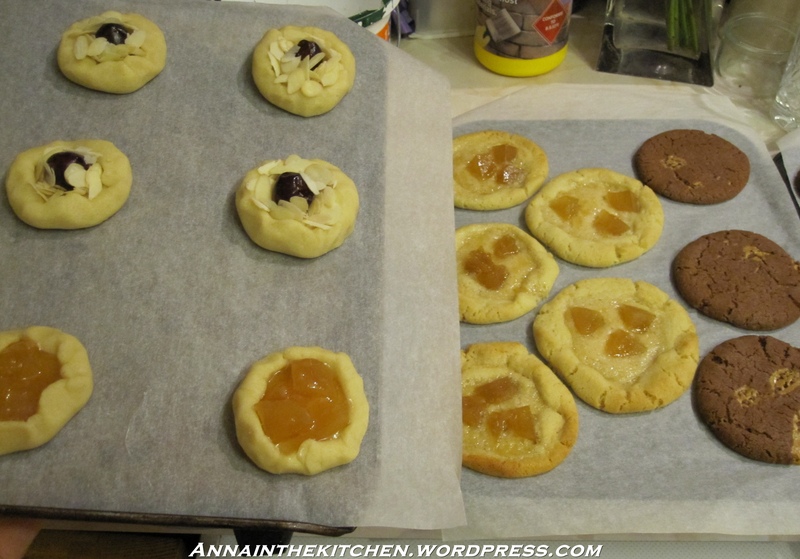 – Place in the oven and bake for 15 minutes until the top is set and cracked but the inside is soft. If you don’t have an extra shelf just do two batches. 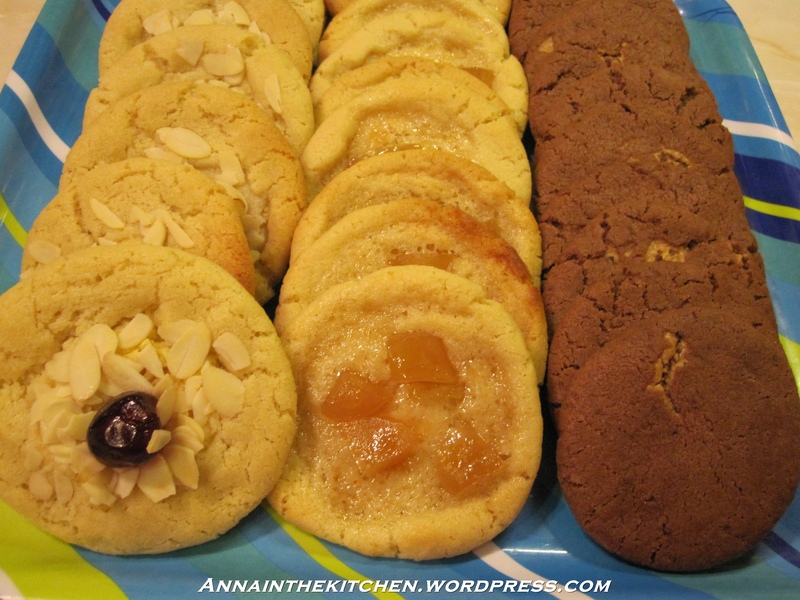 -Leave the cookies on the tray for a minute or two then use a metal spatula or pastry scraper to remove them from the paper and place them on a rack to cool.